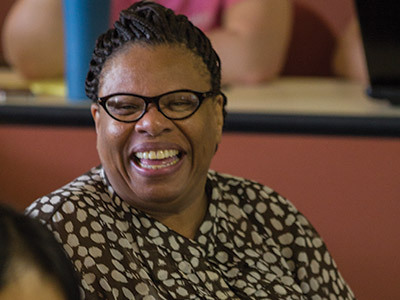 Field Education at Pittsburgh Theological Seminary provides an opportunity for students to learn about the practice of ministry through direct involvement in the life of congregations and in other settings including institutions, organizations, chaplaincies, and other agencies. Welcome to a rich journey of exploration! Through this experience, students should have opportunities to become acquainted with a wide variety of ministry activities (worship and preaching, pastoral care, education, mission, and administration), learn about the dynamics of pastoral relationships, and become aware of the varying social contexts for ministry. Learn more. A carefully planned and faithfully executed Field Education experience puts flesh and bones, faces and stories, on the words of the Seminary's mission to equip people for ministries familiar and yet to unfold and communities present and yet to be gathered. The scholarship and intellectual inquiry of classroom lectures and book learning come alive through the prayer and worship, witness, reconciliation, justice, evangelism, and service that students observe and engage in over the course of their field education placements. Through relationships, tasks, projects, and events – all the elements which compose the pattern of ministry at field education sites – students gain real world experience of participating in God’s ongoing mission in the world. Their understanding of the community of Christ is deepened and enlarged as they work side by side and reflect theologically with supervisors, peers, and others in ministries. The transformation students undergo over the course of their field education program resources them practically, skillfully, formationally, and theologically for the contextually engaged ministries that await them amidst the complex realities of the world that God loves. provide resources and guidance to students and supervisors, as needed. Required to complete one academic year (September – May) of supervised Field Education (MAPS and M.Div.) while enrolled in the FE 210 (Fall) and FE 220 (Spring) Field Education sequential courses. Spend approximately 10-12 hours per week at an approved field education placement site or with preparatory work for on-site activities such as teaching, preaching, or program planning/design. Meet weekly (or at least bi-weekly) with the supervisor for an hour of theological reflection on various aspects of the ministry/field education placement site. Ordinarily receive a monthly stipend for their service (taxable and subject to Social Security). Develop a learning covenant with the supervisor and work with the supervisor to assess their learning and growth through the Mid-Year and Final Evaluation documents. Students normally take field education during their middler or second year of full-time study because of the required pre-requisite coursework. Assignments in the field education courses are designed to integrate/coordinate with the content offered/learned in other required courses in the student’s degree program. Additional student information and forms can be accessed through My.PTS, under the “Field Education” Tab. You'll need to log in to access the information.